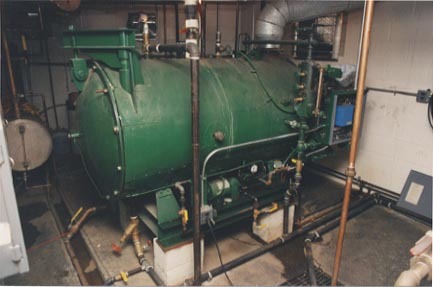 Our company does both high and low pressure steam systems used in industrial or commercial applications. 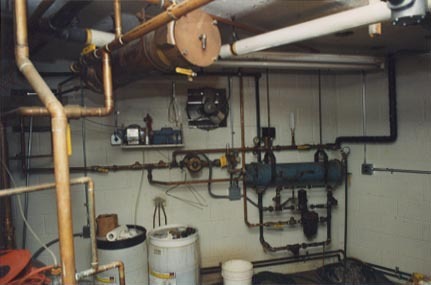 Older residential steam heating systems can be repaired so they function properly. Towne Ridge Cleaners is a job that we completed many years ago. The owner added an addition which doubled the size of the store and made it the largest dry cleaners in Stamford. He did not want to close his business during renovations. We ran our pipe during working days. At night and weekends we moved the dry cleaning equipment and connected to the pipes. The boiler room was moved to a new location at the other end of the building and a second boiler was added. Some piping was done ahead of time. The rest of the boiler room work was done in one weekend. All of the dry cleaning equipment and the boiler room was moved. Towne Ridge Cleaners was only closed one day. If the work was done by a crew of plumbers all at once, the Dry cleaners would have been closed for a few months.